This edition contains a special introduction and an all-new short story based on the novel, "When a Martian Wakes," written by Gary Morgenstein. One of the most imaginative science fiction novels ever written. When strange disks begin to land on Earth, most humans view this event with complacency. That is, until the contents inside the disks come alive, destroying everything in their path. Using massive fighting machines and heat rays, these invaders from Mars seem unstoppable in their war to rule the planet. What transpires is the biggest war in history, requiring all nations to band together to save our world. 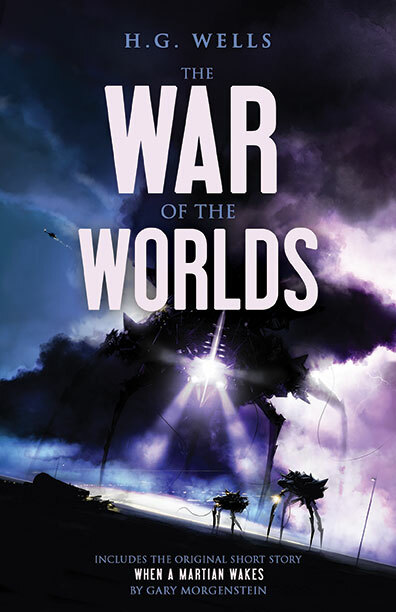 War of the Worlds is one of the most imitated stories ever told and has spawned many films, books, a rock album, and one of the most infamous radio broadcasts of all time, performed by Orson Welles.